Storage is the word of the moment in the energy industry. 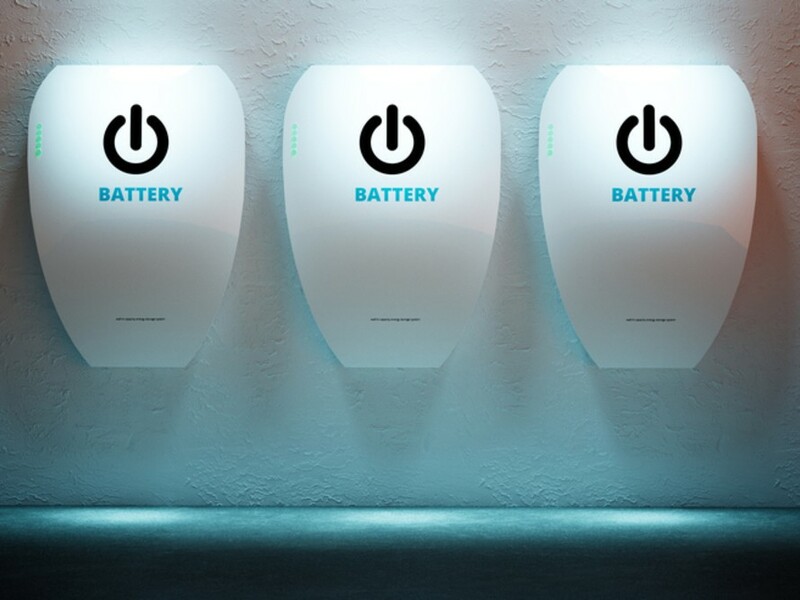 Since Tesla unveiled its Powerwall, politicians, commentators and industry have hyped storage – and particularly batteries – as the solution for getting more renewable energy into electricity grids and reducing our reliance on fossil fuels. The concept of storage is simple. A storage system takes power off the grid or from a local generation source and puts it back onto the grid or uses it locally later. It seems like a good idea if you have too much energy, or it is cheap at some times of the day and expensive at others. So could storage be the answer, and how much would it cost? Of course storage isn’t free. It comes with both a capital cost (buying it in the first place) and a running cost, which is related to the cost of electricity to charge the battery and the round-trip efficiency – how much power is lost in the charging and discharging cycle. To be a sensible economic investment, the benefits have to outweigh the costs. In other words, the savings on your energy bill have to be greater than the capital costs plus the running costs. There are many different kinds of storage technologies, each with different characteristics. Lithium ion batteries are attractive as they operate effectively at small scales, are lightweight and have good round-trip efficiency. But they are currently expensive per unit of storage capacity. Pumped hydro at the other end of the scale operates at very large scales, has good round-trip efficiency and is very cheap per unit. Flywheels (or rotors) have low round-trip efficiency and don’t store a lot of power, but are able to dispatch lots of power in a short time and can also contribute to frequency stability. Other storage technologies include compressed air, cryogenic (liquid air) energy storage, flow batteries and hydrogen. Each has its respective pluses and minuses. Each of these technologies will have an appropriate place in the grid to be installed. Lithium ion batteries are a logical choice for a small-scale distributed application, while pumped hydro will work best at the large scale for grid management. Flow batteries, liquid air and compressed air are in-between technologies in terms of scale, and flywheels and capacitors are most useful at the substation level for voltage and frequency control. Let’s focus on lithium ion batteries and compare them to pumped hydro storage. Lithium ion batteries are coming down in cost at a significant rate. Bloomberg has plotted the costs of lithium ion alongside solar PV. This shows the two technologies share a similar cost curve gradient, with lithium ion reducing from US$1,200 per kilowatt hour to US$600 per kWh in five years (not including installation costs). So where does lithium ion need to get to be cost-effective? Imagine a home with a 4.5kW rooftop PV system and variable electricity rate (for instance off-peak cost of 20c, shoulder of 26c and peak of 40c, similar to this tariff). In such a home a 7kWh battery needs to cost less than A$7,000 fully installed to actually save the homeowner money. In other words, the cost per kWh of storage should be roughly A$1,000 to break even. Currently, batteries cost A$1,000-3,000 per kWh, so they are on the cusp of being cost-effective. However, there is an important catch here. Retail electricity rates tend to exaggerate the true range in costs between peak and off-peak. The difference in the wholesale market (where retailers buy their electricity) is around 5-10c per kWh, much less than the 20c range in current variable rates. If retailers begin to lose market share, they may respond by reducing or removing these variable rates. That would make peak rates cheaper and mean that batteries would need to be correspondingly cheaper to be cost-effective. For instance, a flat electricity rate of 25c per kWh means that batteries would need to cost around A$300 per kWh to be cost-effective. That’s less than a third of their current costs. You could argue that using batteries also reduces the cost of the network itself. By reducing loads at peak time, we can reduce or even remove the need for infrastructure upgrades (substations and additional power lines, for instance). But this is only true if electricity demand is growing. If demand is flat or falling, then distribution networks will tend to be under-used. Therefore reducing peak demand will not result in any savings. Overall demand in the National Electricity Market has declined significantly since 2009, so the benefits of storage on the grid will be negligible other than in high-growth corridors. Demand has rebounded in 2015-16 and it will be interesting to watch and see if this is a resumption of the steady increase or if the demand stays low. Pumped hydro, on the other hand, is a relatively inexpensive storage technology (already at around A$100 per kWh) as it can store large amounts of energy using a very inexpensive material. All you need is some water and the means to pump it uphill. So while it can’t be used everywhere, there are many places in the National Electricity Market where it is possible. There are already 1,500 megawatts of pumped hydro in the market (Shoalhaven, Wivenhoe and Tumut 3). This would be a more logical solution – cheaper and easier to control by the market operator. But in the same way that rooftop PV has gained more popularity than large-scale solar (even though the latter should be cheaper), distributed storage in the form of lithium ion batteries may be the eventual winner, not because of economics but because of human behaviour.